In my previous post I introduced the” Drop-In” rigging concept for Animation Master. In the video that I included in that post I demonstrated installing the “Poker Rig” into a simplified robot model that I use for testing rigs. The model there is probably not a typical model so I wanted to show the rig being installed into a model that is more typical as far as its layout is concerned. 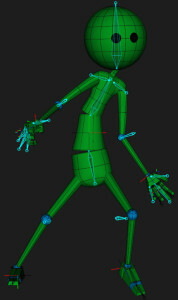 The A:M 2008 rig is a really good all-around rig to use for character animation. It was designed by Mark Skodacek. 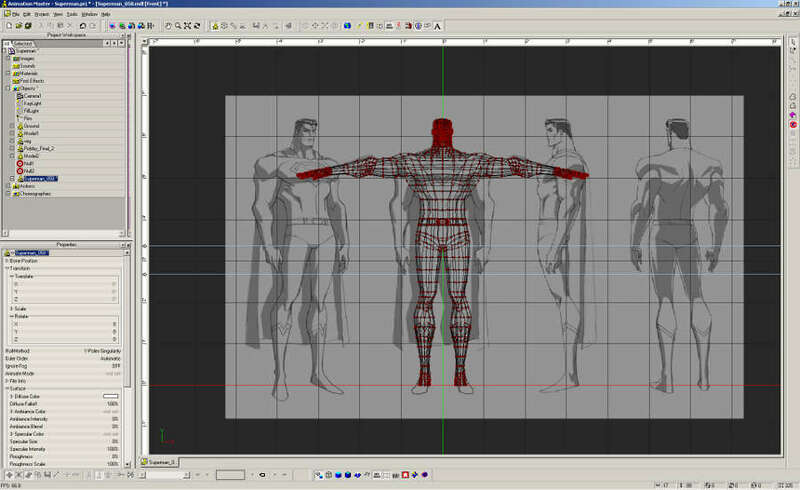 Mark designed a process to install the rig into a character model without having to know a lot about rigging. 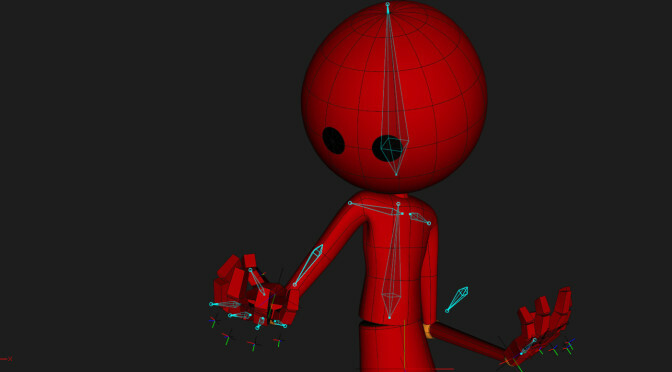 Even so, some users who are new to rigging in Animation Master may still have some trouble. A few weeks ago I was doing a search on the internet for inspirational material for a personal project that I am working on and I was diverted by something unrelated when I came across something called a character turn/ model sheet for Superman. 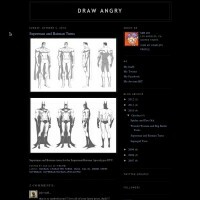 This particular character turn is located at a website called Draw Angry and it the site of an artist and director named Sam Liu (more information about him here as well). 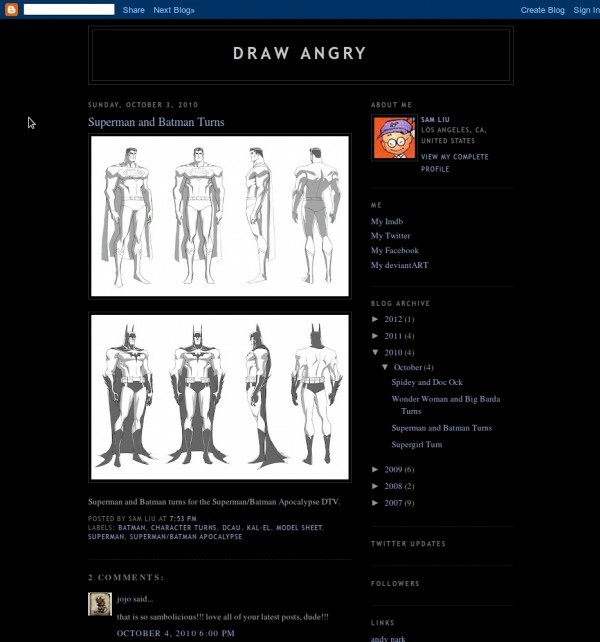 Sam wrote in another post on his site that these model sheets were created for the Superman/Batman: Apocalypse video and that they were completed with the assistance of Jeff Johnson (more info here about Jeff Johnson as well). I decided after looking at at the Superman sheet that I would would save a copy of it so that I could create a model of it in Animation Master, one of my computer and animations programs. Front view of model with the superman model sheet in place. 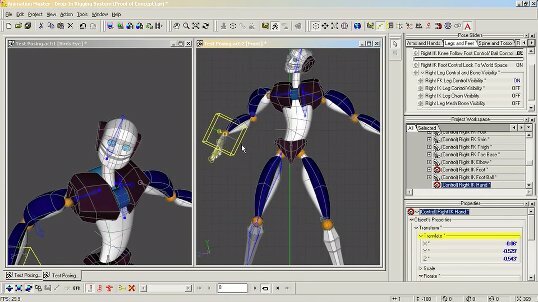 I think that a video tutorial is a better approach for a subject like rigging since it can sometimes become complicated subject. 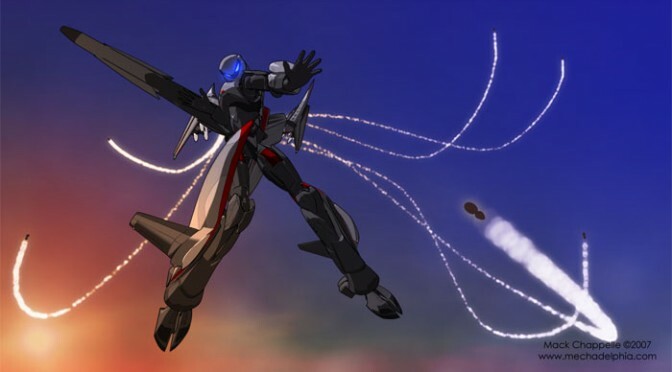 I like to visit the Animation Master forums to see if any of the users are working on any interesting or inspirational projects . This one grabbed my attention and I felt that it was worth sharing with you on my blog. 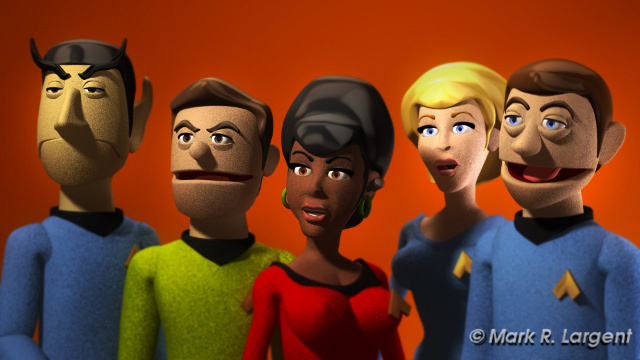 Stalled Trek by Mark R. Largent is an animated parody of the original Star Trek television series created by the late Gene Roddenberry. The visual style of Stalled Trek is a little reminiscent of something that you may have seen in The Muppet Show except that it is all digital. 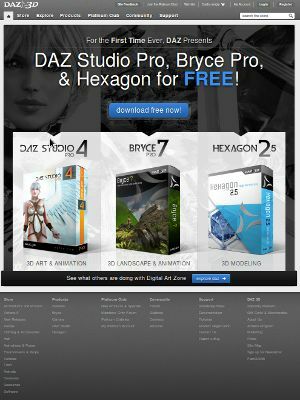 DAZ3D offers Daz Studio Pro 4, Bryce 7 Pro, And Hexagon 2.5 for free. 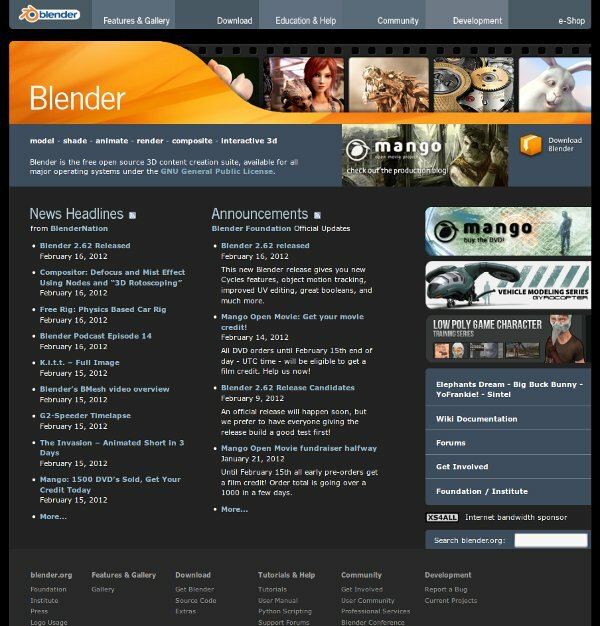 DAZ 3D is offering Daz Studio Pro 4, Bryce 7 Pro, And Hexagon 2.5 for free download for anyone who wants it until February 29, 2012 March 31, 2012. You can read about what each product is meant to at their web site. These are the full featured versions of DAZ’s software and not the slightly less advanced versions that have reduced feature sets. I went ahead and download the software from them but I have not installed it yet so I can’t give you my opinion on how well the software performs. If you are interested then you’ll need to create an account on DAZ’s web site. Once you do that you can download the software. Be aware of the that you will need to provide them with a working e-mail address so that they can spam you with product offers. Also if you do decide to download the software then have a look at this forum post on DAZ’s forums site. The post addresses a few functional issues that people are or were having once they ran the software. 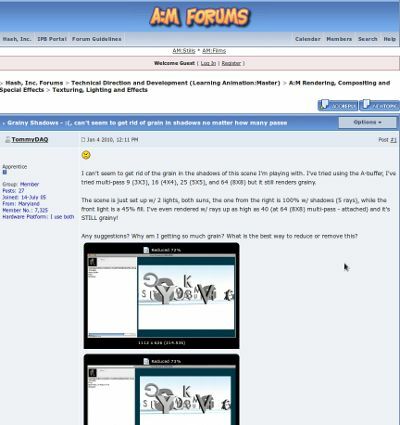 Thanks to this post at the Animation Master forums I no longer have to worry about the edges of my rendered ray traced shadows looking grainy. For years I had been wondering about why I could not clean them up but after I did a search on the forums I had the answer. It’s an older post so I’m not sure why I never saw that post sooner. Anyway, thanks to Robcat2075 and Fuchur for the information about the lights and shadows. 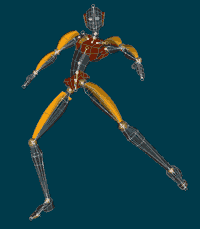 When we talk about rigging a character model for 3D animation we are generally talking about creating a way of controlling the models that we use so that they can give a performance. 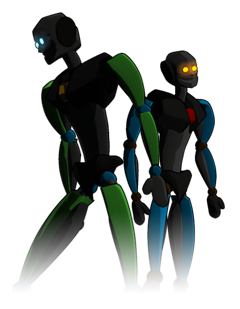 “Rigging” is the process where you install a skeleton into your model so that each bone controls the part of the model that you want it to. 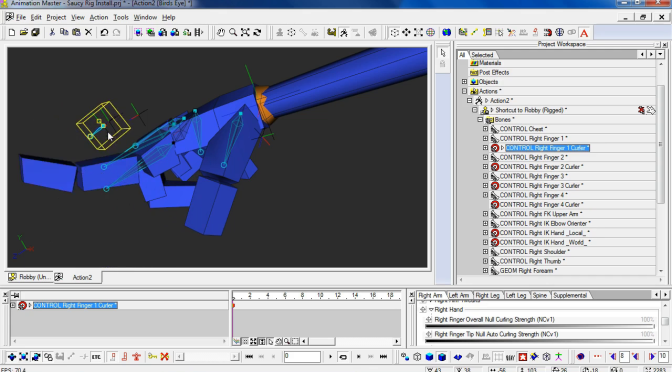 Rigging is not the easiest task in the animation process to understand at first but this step is very important. 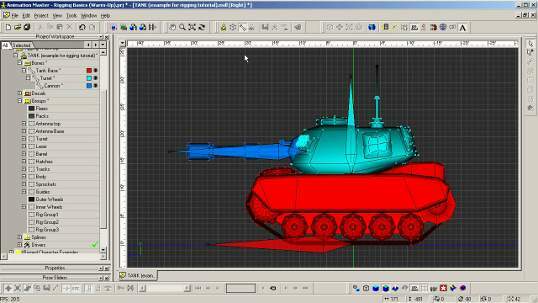 When a model is not rigged it is, essentially, just a statue in your 3D world. You won’t be able to make it walk, talk, fight, flee, or whatever it is that you want it to do. Well, after a long hiatus from maintaining my web site I’ve decided to bring it back online . Even though my site is not in the state that I would like it to be at this point I just wanted to get it back online and then chip away at it throughout the coming weeks months. I’ve reposted my Rigging Basics tutorial for Animation Master from my old site here on this site and I intend to finally finish that series in the future. Other items such as my image galleries will eventually be posted later.